Welcome to the latest edition of “Know a Nominee,” the interview series that shows you what’s inside the minds of some of today’s best horror writers and editors: this year’s Bram Stoker Award nominees. 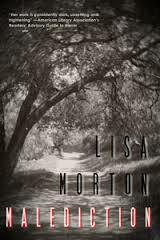 Today’s update features Lisa Morton, who is nominated in the category of Superior Achievement in a Novel, for Malediction (Evil Jester Press). DM: Can you please describe the genesis for the idea that eventually became the work for which you’ve been nominated? LM: I’m a native of Los Angeles, and this city has a much deeper and stranger history than most people know. About ten years or so back I first read the story of Petranilla de Feliz, who in 1863 was denied an inheritance she thought was hers—the large expanse of land we now recognize as Griffith Park (and the nearby neighborhood of Los Feliz, which still bears her family name). According to witnesses, the young Petranilla (who legend says was in her teens, whereas the truth is she was probably 20) cursed the land, and the curse was believed for the next 40 years, as crops and livestock died, natural disasters were rampant, and even housing developments failed. I loved that story and wanted to set a novel around it, but I wanted it to be a contemporary novel. I wanted to play with the idea that Los Angeles was still under that curse, that the tarnished glamour of Hollywood and the polluted paradise was all part of Petranilla’s malediction. LM: Interweaving the contemporary story with the historical material (most of which is based in real history) was probably the most difficult part. Creating a major character (Sam West) who is a folklore professor solved a lot of that. I think the most rewarding part was probably writing the climax, which pulled together multiple threads and characters and different time periods in a way that I hope was satisfying to readers as well. DM: What do you think good horror/dark fiction should achieve? How do you feel the work for which you’ve been nominated work fits into that ideal? LM: The very best horror/dark fiction pulls back a veil and allows us to look, albeit briefly, into another world; it creates a transcendent experience. There’s a scene in Malediction—I’ll try to keep this spoiler-free!—in which an important character experiences death, and that was a scene in which I wanted to convey that sense of (literally) being lifted out of your body and your world into something else. LM: My problem is over-committing myself. Right now, for example, I have a nonfiction book due on July 1st, a major historical novella due about the same time, a novel due early next year, four short stories, an editing gig for a magazine, and a truckload of interviews. With all that going on, it’s frequently hard for me to stay focused…and when I do, I usually realize I’ve missed a deadline on one of the other projects! In a perfect universe, I’d have enough time for everything, and I’ll bet it would all flow easily. LM: I’ve said it many times before, but I’ll say it again: Persevere. Don’t give up. It’s unlikely that you’ll find success quickly. Most of your favorite writers labored for years before their first big sale, then they labored for more years before their next sale, and finally at some point the sales got easier…but that was after a whole lot of work and rejection and doubt. If you think self-publishing will be the rocket-blast path to fast success, you’ll be disappointed, because truly successful self-publishers have also put years of hard work in. None of it’s going to be easy or fast, but you can do it if you go in with the understanding that this is a long-term commitment. DM: What are you most looking forward to at this year’s Bram Stoker Awards/WHC? 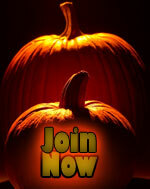 What do you think is the significance of recognitions like the Bram Stoker Awards? LM: I love being around other writers, and I love being around books (Powell’s Bookstore in Portland! It’s Mecca to a bibliophile like me!). The awards are significant because they promote the genre to the public; they shout loud and clear, “Look, horror is more than just that last bad movie you saw or the book you read ten years ago that wasn’t very good. Give it a chance – try one of these instead and you’ll probably like it.” If one person reads a book because it’s been nominated and says, “Hey, I want more like that,” then the Bram Stoker Awards have fulfilled their purpose. 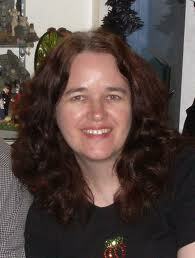 Lisa Morton is a screenwriter, author of non-fiction books, award-winning prose writer, and Halloween expert. Her work was described by the American Library Association’s Readers’ Advisory Guide to Horror as “consistently dark, unsettling, and frightening”, and Famous Monsters called her “one of the best writers in dark fiction today.” She began her career in Hollywood, co-writing the cult favorite Meet the Hollowheads (on which she also served as Associate Producer), but soon made a successful transition into writing short works of horror. After appearing in dozens of anthologies and magazines, including The Mammoth Book of Dracula, Dark Delicacies, The Museum of Horrors, and Cemetery Dance, in 2010 her first novel, The Castle of Los Angeles, was published to critical acclaim, appearing on numerous “Best of the Year” lists. Her book, The Halloween Encyclopedia (now in an expanded second edition), was described by Reference & Research Book News as “the most complete reference to the holiday available,” and Lisa has been interviewed on The History Channel, the Discovery Channel’s series Perfecting History, and in The Wall Street Journal as a Halloween authority. She is a six-time winner of the Bram Stoker Award®, a recipient of the Black Quill Award, and winner of the 2012 Grand Prize from the Halloween Book Festival. Her most recent releases are the novels Netherworld and Malediction (nominated for the Bram Stoker Award for Novel); forthcoming is Zombie Apocalypse! : Washington Deceased. A lifelong Californian, she lives in North Hollywood, and can be found online at www.lisamorton.com.